Samsung Galaxy A10, the most economical smartphone of the Galaxy A series, went on sale today at a price of Rs 8,490. Samsung Galaxy A10 went on sale today at a price of Rs 8,490. It will be available in red, blue and black colours. The device will be sold across retail stores as well as key online platforms – Amazon India, Flipkart, PayTM and Samsung’s own store. A fortnight ago, Samsung had launched the Galaxy A10, along with the Galaxy A30 and Galaxy A50 in India. The Galaxy A10 is aimed to cater to young consumers, the company said in a statement. The Galaxy A10 comes with a 6.2-inch HD+ Infinity V display, 13MP rear camera with f/1.9 aperture and a 5MP front camera with face recognition. It is powered by Samsung Exynos 7884 octa-core processor coupled with 2GB RAM and 32GB internal storage. It has a 3,400 mAh battery. In related news, Samsung will announce a new smartphone in the Galaxy A series soon. Earlier in the day, the South Korean major sent out a teaser to announce that it will announce a new Galaxy A device on April 10. 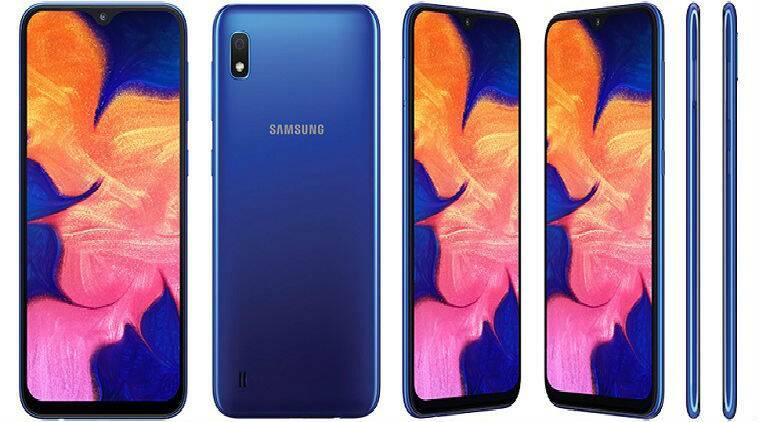 It is possible to see the launch of the Galaxy A90, which is rumoured to come with a pop-up selfie camera and a Snapdragon 855 processor.